If the idea of consuming an animal's digestive fluid turns your stomach, just wait till you hear how it's harvested. Bears, forced to live in small cages, are hooked up to catheters with no regard for their health and "milked" for their bile. This happens over and over, for the rest of it's life. Currently, one of the main hotbeds of bear bile farming is the small nation of Laos. Nestled in between Vietnam and Thailand, the country's bear bile industry took off when Vietnam made meager efforts to crack down on their own bear farming operations. Quickly, bears were packed up and sent across the border where the laws are far more lax and the chances of being punished are close to zero. But there is no excuse for Laotian officials to ignore the inhumanity taking place within it's borders. Animal rights organizations have been sounding the alarm for years and still progress has been slow to come. It is time we ask Laos once and for all to end bear bile farming the cruelty needs to stop now. While many other nations have begun cracking down on bear bile farming, it continues to prosper within your borders. This cruel industry causes pain to living, breathing, endangered animals, all to create a medicine that is ineffective. It is time to end the bear bile industry and show the world you are serious about animal rights. 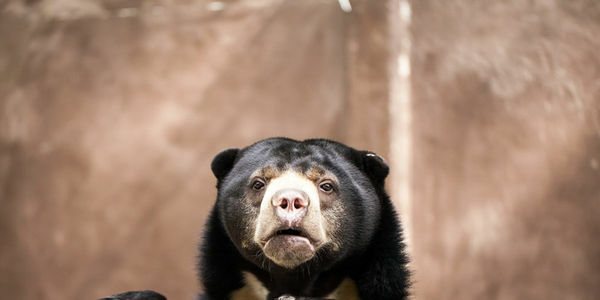 According to a recent study, things are getting worse – not better – for the bears of Laos. We must continue to fight to help in bear bile farms. Please share this petition to keep up the pressure.